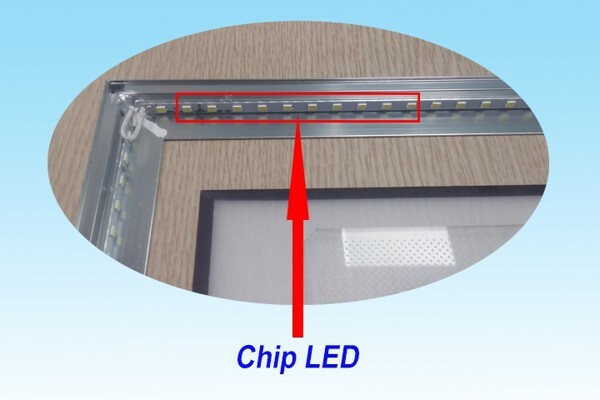 - LED Chip : LED panel light with high performance 2835 SMD LED Chip. - Power supply : This is the second most important part of the LED, it makes the lamp work smoothly, no interference, the frequency of the light emitted or the noise is also due to the source. In addition, the life of the LED chip is also dependent on the power supply. Therefore, in the market today, the same lamp pattern, but the price and quality are different. The main purpose of the power supply is to convert the power consumption of 220V (alternating current) into 12VDC or 24VDC (one-way) power supply to the LED chip. Case of the power supply has two types: plastic and aluminum. The casing of the casing is intended to protect the electronic components inside the casing, to prevent leakage, to prevent dust and moisture from entering the circuit board. The power supply can not be rated for power quality because the power supply life depends on the components that make the power supply. You want to know the source of the quality light just remove the two power supply of two different brands are comparable. - Radiator sheath : The third important part is the sheath light bulb (surrounding aluminum ring). The LED panel light bulb is made of aluminum, with aluminum properties that can lead to good heat, so the manufacturer uses aluminum to heat the lamp. When the lamp works, it generates a large amount of heat. To help extend the life of the lamp, the manufacturer must use an aluminum layer to allow the heat to emit rapidly through the aluminum and spread outwards. Thanks to the wind in the air this coolant aluminum layer and help to extend the life of the LED chip. + Mica layer : this layer is the outer surface, we can see first with the opaque white, so that the light is not glare and pleasant to look directly at the lamp. Mica light diffusion: Due to the characteristic of the LED panel is designed LED bar stick around the lamp, so it should have a mica in order to help light disperse evenly on the surface of the lamp. 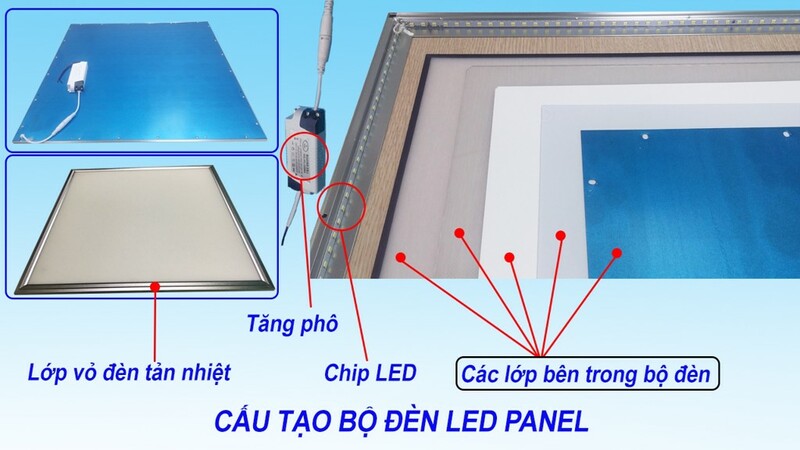 Reflective layer: This is a thin reflective layer produced by a special material capable of reflecting 95-98% of the light emitted by the LED down below the surface of the lamp and falling down. space below. Foocmex Foam: This is the foam layer of the LED panel used to hold and keep the top panels firmly in place, without shifting during movement and without damaging the light beam. + Aluminum layer : the last layer of aluminum, the purpose of the aluminum layer is to keep the entire layer together, attached to the light frame to produce a complete lamp, this aluminum layer also helps to The lamp is faster and more aesthetically pleasing. - LED office light LEDs save up to 60% compared to traditional fluorescent lamp (600x600mm or 600x1200m). The LED panel power of the 600x600mm is only 36W, while the fluorescent lamp of the same type is 60-70W (including loss of ballast). - Longer life of LED office light, longer lasting than fluorescent lamps. 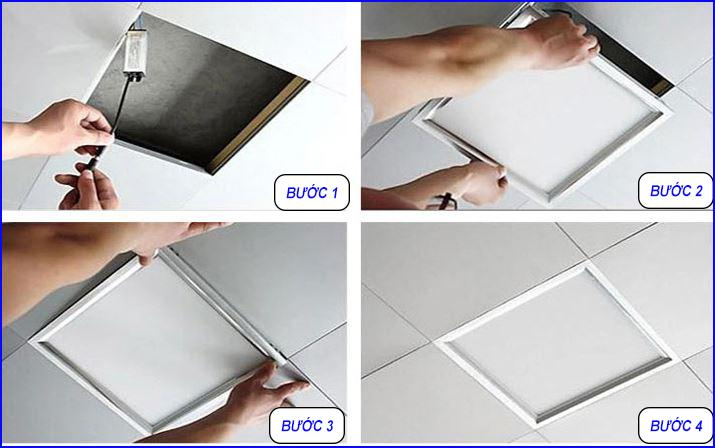 Led Panel Recess life could be up to 50,000 hours - fluorescent lamp life is just 6,000-8,000 hours. - AMBEE panel brightness is brighter than the same fluorescent lamp. The light is uniformly distributed and is not influenced by optical attenuation and external factors (dust, spider web, bilaterally ...). - The AMBEE LED panel's illumination with a color rendering of> 85 is very good for the eyes of staff who work constantly in the office. - In addition, LED panel AMBEE also makes the room more beautiful, professional and harmony with the space of the Office. The thickness of the lamp is also very thin (1.5-2cm) which makes installation easy and does not bend the existing gypsum system. - LED office light panels do not emit ultraviolet rays, ultraviolet rays and light materials that are recyclable, user friendly and environmentally friendly. - Goods are checked and carefully tested before delivery to customers. - Measure the brightness at the factory, factory and consultant to save energy efficiency. - Free periodic measurement of light during use (each 6 months).